Description: -Papua New Guinea walking stick palm. 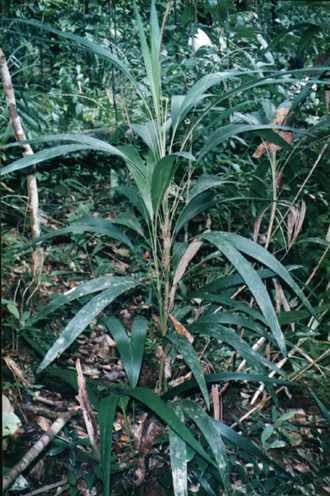 This palm is used all over the Papua New Guinea and Irian Jaya as a mixing stick for sago preparation. With thin bifid leaves and clumping. Growing to around 2.5m tall makes this palm an excellent indoor palm, the leaves are dark green and the thin trunks to 10mm look quite striking likes regular watering and temperatures from 3.C to 35.C fertilize once a year with a slow release. Growing Climate: -Temperatures from 3.C to 35.C fertilize once a year with a slow release.